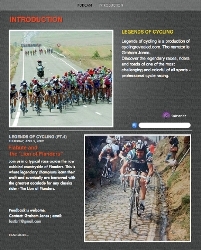 Fast Eddy O first wrote this article for Flandria Cafe in September 2011. The UCI's WorldTour race in Montreal (2011) was as great a time as ever this year. Our gang of four Flahutes stayed at the (media/riders) Delta Hotel, dined the evening before at Les Pyrenees, and rode a few laps of the circuit early Sunday morning. Last year I wrote a post at Flandria Cafe recalling the 1976 Olympics on the Mont Royal [Mont Real] circuit. This year, as I soaked in the buzz of modern world class professional cycling, I couldn't help thinking back to the debut of this circuit on the international stage in 1974 - that year was the setting for the final World Championship victory of Eddy Merckx. Back to reality over the past week, the announcement of the 2015 World's in Richmond VA, and the current 24/7 online video coverage of the current race for regenboogtrui in picturesque Copenhagen keeps memories of that '74 race popping back into my mind. 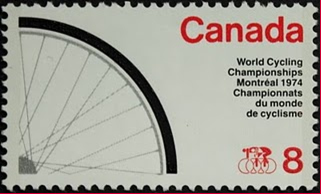 The '74 Worlds was held two years before I started racing as a junior, but not so long before that vivid tale of the heroics on Mont Royal weren't still spoken of in hushed, reverent tones by those few cycling pioneers who'd made the trek up to Quebec. Snippets of that race were brought up on training rides, at coffee stops on fall rides, or seated on pavement during summer criteriums waiting for your race to start. And the telling was usually accompanied by a disbelieving shake of the head when Merckx' final attack was mentioned. Thevenet away all day. Check out the camera car! Long story short, Bernard Thevenet was away for almost 100k, getting about two and a half minutes, but with two laps to go started to weaken. When climbing, Thevenet really 'put his back into it', as one might expect from a Burgundian farm boy. He climbed with the strength of his upper body, robust shoulder thrusts on every pedal stroke keeping a massive gear turning. Cycling as shoveling grain. It was a style that would finally dethrone Merckx on Pra Loup in the 1975 Tour de France a few months later...but not this day. 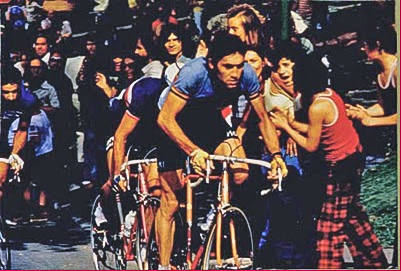 Behind the tricoleur, a select group with Merckx, the Italian Santambrogio and the French duo Raymond Poulidor and Mariano Martinez pulled clear of the rest the last time up Mont Royal. SPECIAL NOTE: Behind, emerging star Francesco Moser was all over the bike trying to make the final move. 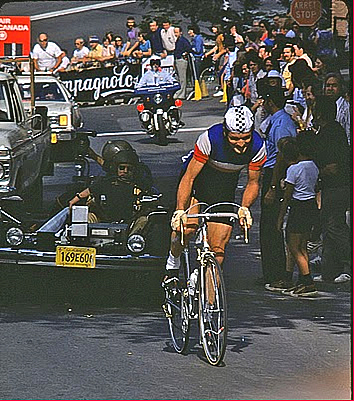 Recall that someone years ago told me that Moser had gone up Mont Royal in the big ring. 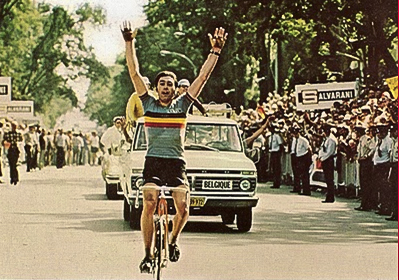 After catching Thevenet, Merckx went for it just as they approached the top of Mont Royal on the very last lap. Only Raymond Poulidor could hold him. From there it was a two man race. And a somewhat predictable outcome. Merckx imperial. Poulidor, second encore. This year's UCI WorldTour race similarly saw the winning move come on the final lap and after the last time up Mont Royal. Two unmarked guys away, a little hesitation and that was all she wrote. But there the comparison breaks down a bit. While this year's race finished darn close to a bunch sprint, back in '74 the gaps were immense at the finish, and there were only 18 finishers. 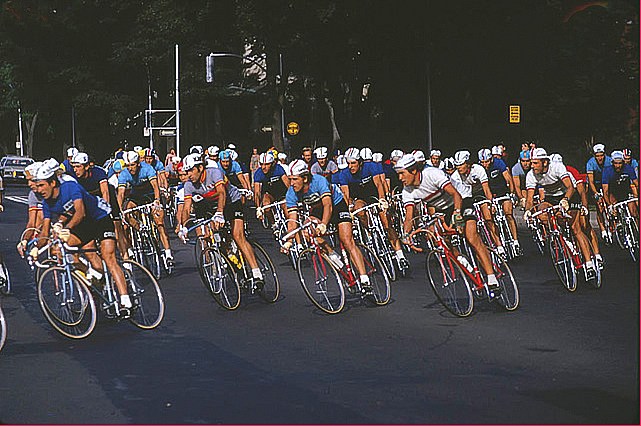 But back in '74 the race was 262.5km, while this year's pro tour race was 205 km. Fun to contemplate what that the extra 57k would have done to the race this year? (My legs hurt just thinking about doing the 200k). World's in the northeastern part of North America again. Woo hoo! On to Richmond! Don't miss it flahutes.